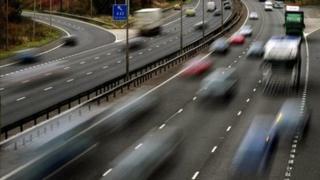 The cost of courtesy cars should be capped to push down car insurance premiums, the competition regulator has proposed. Replacement vehicles cost consumers as much as £180m a year through higher premiums, the Competition and Markets Authority (CMA) said. There will also be a ban on website deals which stop insurers offering lower product prices elsewhere. No-claims bonus information will also have to be clearer, the regulator said. Courtesy car costs for an insurer can be significantly higher if the replacement car is provided by an outside company, rather than by the insurer itself, the CMA said. Ultimately, these costs are passed onto the consumer through higher premiums, and so should be capped at source, it added. "There are over 25 million privately registered cars in the UK and we think these changes will benefit motorists who are currently paying higher premiums as a result of the problems we've found," said Alasdair Smith, chair of the CMA private motor insurance investigation group. A cap would be set by a panel of independent assessors. Deals between price comparison websites and insurers called "price parity" agreements should also be banned, the regulator proposed. The deals stop insurers offering their products more cheaply elsewhere, and again ultimately push up the price of insurance, CMA found. "We believe they [price comparison websites] are great in helping motorists look for the best deal, and this in turn has driven insurers to compete more intensely, but we want to see an end to clauses which restrict an insurer's ability to price its products differently, whether on different price comparison sites or on other channels," Mr Smith said. A proposed ban would need to be confirmed in a final report from the CMA in September, and it would take "several months" for it to come into force. Rod Jones, insurance expert at price comparison website Uswitch.com, said: "We welcome anything that helps ensures consumers get a fair deal. We will follow any recommended course of action that enables this." The CMA has been studying the £11bn private motor insurance market following concerns raised by the Office of Fair Trading in September 2012. The report was welcomed by the British Insurance Brokers' Association (BIBA) as "encouraging". "We have long-argued that some practices in the motor market, such as anti-competitive parity agreements, are detrimental to customers. [These] proposals will be beneficial to customers," said BIBA chief executive, Steve White. The investigation is separate to inquiries into exaggerated whiplash claims and insurance fraud. Earlier this month, the Ministry of Justice said lawyers would be banned from offering cash or free tablet computers to persuade people to bring injury claims. The courts would also be required to throw out claims which were exaggerated.